Together we can, says the LORD. Unite we stand. For with Me you can do all things, and I have called you to come and link up with me. You will never fall nor fail as I hold onto you and keep you steady. I cannot fall nor fail and I always succeed. Without Me you can do nothing. But as you rely upon Me and walk with Me, hand in hand, you will never stumble. I will hold you up. I will empower you with My SPIRIT so that you will be able to accomplish all things that I have assigned you to do. I will provide for that which I have called you to do, and you will not need to fear. I would not ask you to do something without My help and I will fully furnish you for every good work that I have given you to do, says the LORD. 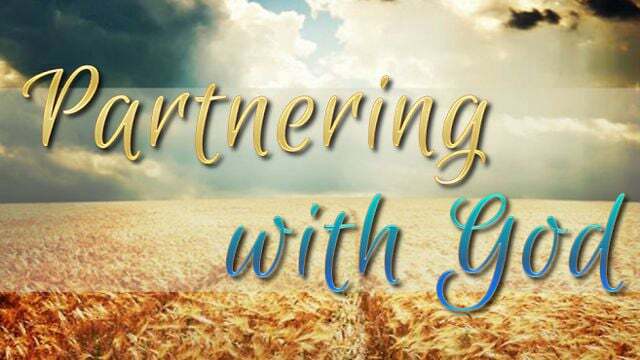 I have chosen you to partner with Me, and what I do on the earth will not be done without you, says the LORD. I have positioned you where you are and you will conquer the land of your possession. The enemy will be driven out as you advance forward and claim new regions for MY name. For I have called you for such a time as this to arise and shine. My light shall be in you and the darkness around you will not be able to put it out. Be bold and do not fear the enemy, for I Am with you always to not only secure you but empower you to enforce My kingdom on earth as it is in heaven by My Spirit in you, says the LORD. Lets do this Lord! You and ME!!! Thank you, LORD JESUS. Praise thee, Lord !! Just as a parent who is walking with his or her child, the parent holds their hand, so if they wonder off the path, the parent brings them back on the right path and protects them. It is the same in the Spirit life, God holds our hand and if we wander off he pulls us back on the right path. You just have to have faith and believe in God. Amen ,LORD am HERE and READILY waiting. GLADLY LORD GLADLY. AAAAAAAMMMEENNNN AND AAAAAAAMMMEENNNN! Hallelujah Amen, thank you Lord merciful God, I believe it and so shall it be in Jesus mighty name, Amen.